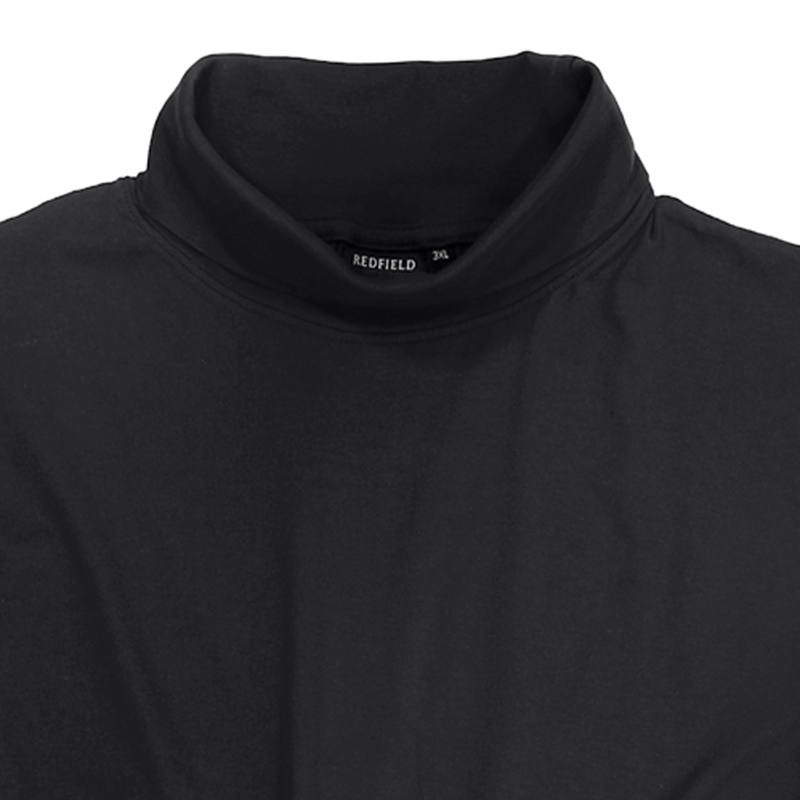 A warming polo-neck jumper by Redfield in big sizes. 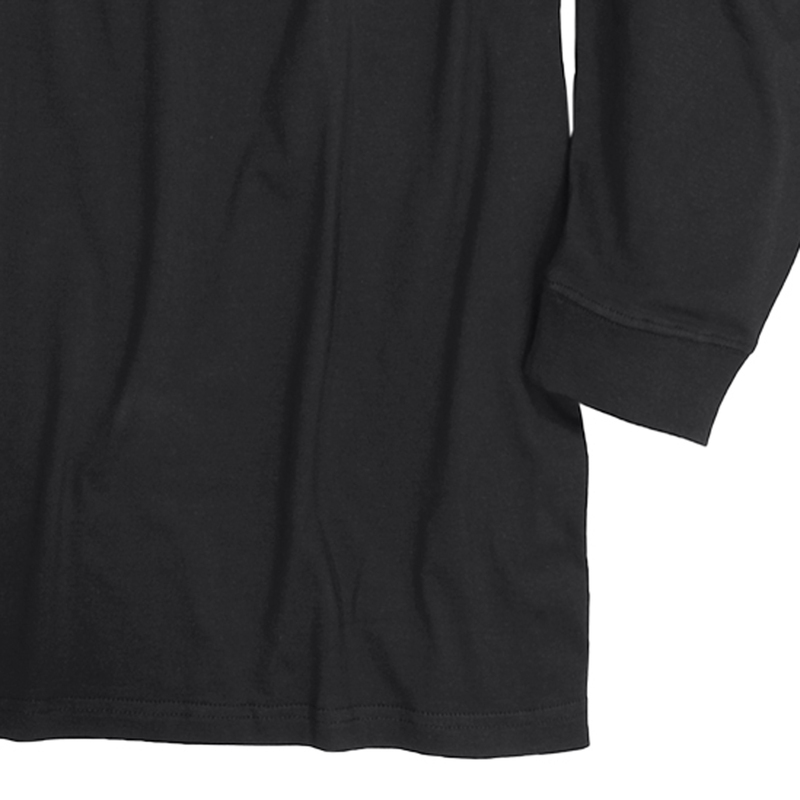 Produced out of 80% cotton and 20% polyester you get a natural feeling on your skin. Sleeve waists in ripped optic give a sportive look and long durability. 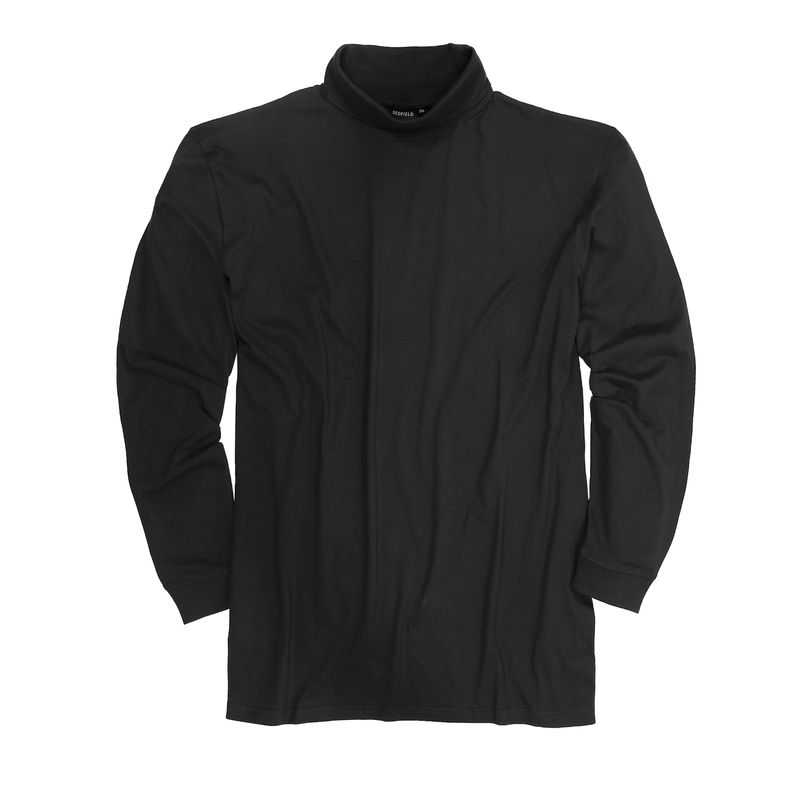 Any jeans or chino trousers fit with these black polo-neck jersey so that an eventful day can start.